It seems that your following == radio builders ; it’s great you’re appealing to them. 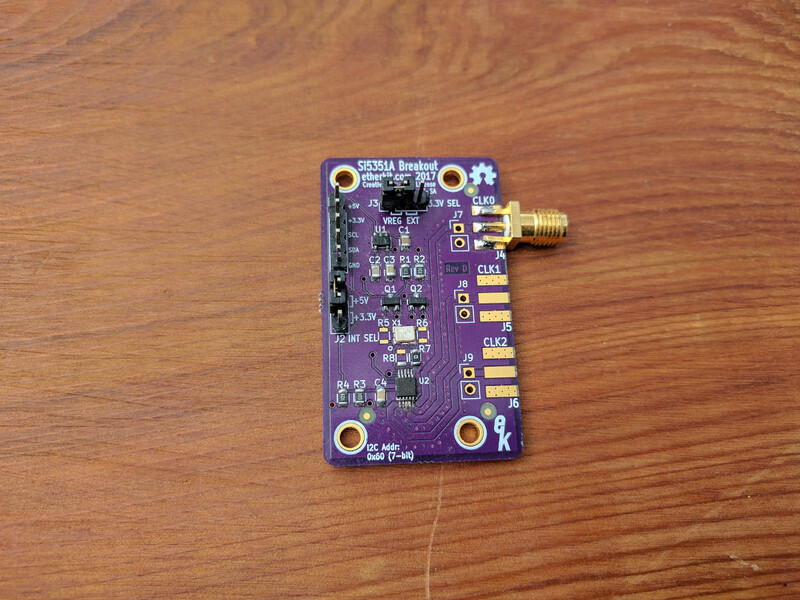 Arduino clone could prove risky in the long term, unless, perhaps, it’s also part of a platform of spin-off products aimed at the RF crew. Proper modules that build systems — and market science and modern digital innovation to appeal to digitally curious RF experimenters plus the old-dog analog crowd alike. A decent, modular, HF Signal generator, with potential options such as display, enclosure with proper RF shielding and switchable attenuators to allow some power output choices. I/Q output option? optional switched low-pass filters for 4 or 5 bands? Thank you all for the helpful advice, including the redditors from /r/amateurradio. Sounds like I may need to go back to the drawing board a bit to look for a better “springboard” product to launch. Offering my thoughts here after seeing it on reddit. Some background – I am a new ham (1 year licenced) from VK and specifically pursued a licence that enabled me to build and operate my own gear (as the most junior licence in VK doesn’t allow homebrew operation). One thing that has frustrated me is the number of great (small) transceiver kits from the past that are no longer available or out of production. Overall I think this part of the market (small transceivers) is underserviced/overpriced and where it is serviced stock numbers are either very limited or prices are high (particularly once you factor in postage to VK – which appears extraordinarily high from the USA, much more reasonable from other parts of the globe, and in the past has meant that there are some things I do not buy). I realise the VK is market is small, so gripe over, (but with reminders below). One product that I think would do really well is a smd based DDS with mcu onboard with maybe an LCD of some sort either included or easily added. There are a couple of these floating around now. These seem to go around US$30 or so. I have no idea of the costings but I have a feeling that if you could offer this at the right price point on a bulk buy / kickstarter that would be a winner. This combination seems a useful module that lends itself to other projects given the success of some modular projects lately. The March 2016 QST modular CW rig (correct me on the date) takes advantage of the ecosystem of cheap chinese made products already out there (Arduino nano, mini360 buck converter, AD9850 breakout boards, all from ebay and usually with free postage!!). The team that put this out have an analyser board out now on a similar modular basis which looks promising (but I wish it provided reactances as well). The range of items from QRPLabs are also interesting to me as they seem easily incorporated into a modular project (as well as representing interesting projects in their own right). So maybe something that takes advantage of this ecosystem. The most interesting story in the kit/homebrew world of ham radio today is the BITX40 which is a different offering from most. I’m sure you are aware of it but I think of the BITX40 not so much as a product but as an learning experience, which for me as a new ham wanting to build my own gear, has been invaluable. Judging by the comments on the groups.io group many others share this view. Others with a product mindset have found only frustration, however, with some documentation gaps and different expectations causing issues. The price point for what you get out of this kit (noting that a certain mindset is required going in) is the standard bearer in my view (and postage is included!). I think the pricing competition from the chinese Arduino clones is too brutal to go anywhere near an MCU only unit. One last one idea is a customizable / user controlled DSP module. I’d like to see a digital radio (in the 1985 sense–before SDR) version of the Bitx40. I guess that would be a Soft Rock but without the need for an external computer. Maybe with a processor like ARM Cortex M4F (with HW floating point acceleration). And Arduino IDE. I don’t know but you should just plug a mic into the radio and get on the air on 40 meters. For $99. Assembled. In my dreams at least.